When the Apple Watch debuted in 2015, it wasn't exactly clear what problems it solved or who would be its demographic. Jony Ive admitted as much during subsequent interviews. Apple simply knew it wanted to create a watch and would figure out what it would do after the fact. Following launch, there was a laundry list of issues that hampered the Apple Watch's abilities, relegating it to being a slow sidekick to the iPhone. It couldn't process much locally, offloading the majorly of the work to the iPhone. Watch faces were quite limited, as were the complications that could run on them. Making the situation worse, it was slow to launch apps and Siri was less than helpful. Developers, initially excited about Watch's prospects, began to flee the platform, with many pulling support in recent app updates. Over the past few years, Apple Watch hasn't seen much more than incremental spec bumps, with Apple adding features like better water resistance, faster processors and cellular as Apple honed in on where Apple Watch excelled. On the outside, the Apple Watch design remained largely the same for three years. But, despite all this, in the time since the debut, the users defined Apple's product in search of a market, and Apple has taken note. Everything changed with the Series 4. It easily stole the show from the iPhone XS and iPhone XS Max during Apple's fall media event. After spending some time with the Series 4, things have started to become clear. The Apple Watch has graduated from the iPhone's sidekick, to a hero all its own. You can't start talking about the Apple Watch Series 4 without first touching on that new display. Apple has increased the size substantially over the previous models. The smaller model, now 40mm, has a 35-percent larger display than the old 38mm Watch and the largest 44mm version increased real estate by 32 percent over its 42mm predecessor. Each display now uses a low-temperature polycrystalline oxide (LTPO) OLED display, which requires a bit less power to run than the previous generation panels. They are also a tad thinner, which helped Apple reduced the overall thickness of the Apple Watch. What makes these new displays really pop is a combination of other effects alongside the physical size increase. 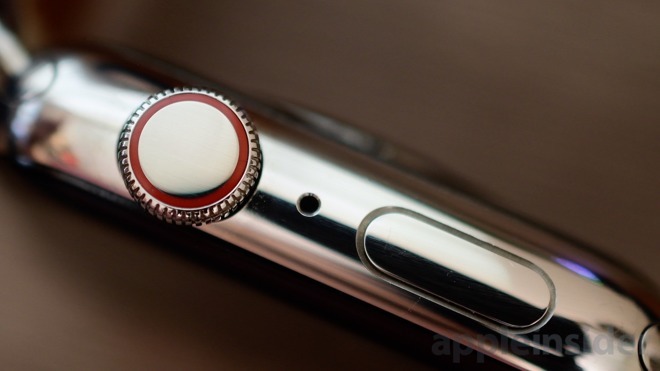 The bezels around the Apple Watch are significantly thinner. They aren't non-existent, but they are much smaller. Apple also rounded the corners of the display itself, which mirrors the newly rounded corners of the updated case. The bigger display, reduced bezels and more rounded case creates the illusion of vastly larger displays, while keeping the physical size of the watch nearly identical. In use, it is night and day. Going back to the Series 3, the display feels incredibly cramped. Of course, there are downsides. Many UI elements have just expanded in size to fill the new display, without consideration of better use of the space. We wish Apple would have tried to better utilize the new space rather than just scaling the elements up. There are some areas that take advantage of the real estate, such as the two new watch faces exclusive to the Series 4. Infograph and Infograph Modular have many updated complications, included rounded ones to fit the corners. Up to nine complications can fit within the Infograph face, making them exceptionally dense. Those looking for more information out of their Apple Watch will love these new options. Developers have already started to add support for these new complications, and it will be exciting to see what they are capable of as time moves on. Four other watch faces have made their way to the Series 4 — vapor, liquid metal, breathe, and fire & water. We saw these four faces already with watchOS 5 on existing Apple Watches, but they were clearly designed with the Series 4 in mind. Instead of being relegated to a simple ring within the display, on the Series 4 they go edge-to-edge, filling the entirety of the watch face. If you thought they looked great before, they look even better here. This year, the Apple Watch is running off of the S4 system-in-package. For the first time, it is a 64-bit processor that should see speeds up to twice as fast as that of the S3. The speed improvement is nice, but the S3 was already quite quick. Apple's S3 processor was a huge upgrade of the S2, and that means that when comparing the S3 to the S4 side by side, you don't always see a huge difference. Apple Watch Series 4 is no slouch, letting apps launch fairly quickly and making Siri more responsive than ever. To go with the new S4 is the W3 wireless chip. Unfortunately, Series 4 is still limited to 2.4GHz 802.11n, but it did get an upgrade to Bluetooth 5. Bluetooth 5 was included in the iPhone X, so really the Apple Watch is just playing catch-up. It adds additional range and bandwidth, which could be useful to connect to the host iPhone, as well as when running legacy apps that still handoff a lot of data from the iPhone itself. Instead of keeping the back of the Apple Watch metal with a composite or sapphire crystal sensor, the Series 4 has a ceramic back surrounding the sapphire-covered heart rate sensor. After calibrating sights on the target for four iterations, Apple has zeroed in on the bullseye of what the Apple Watch should focus on this time around. First is data. 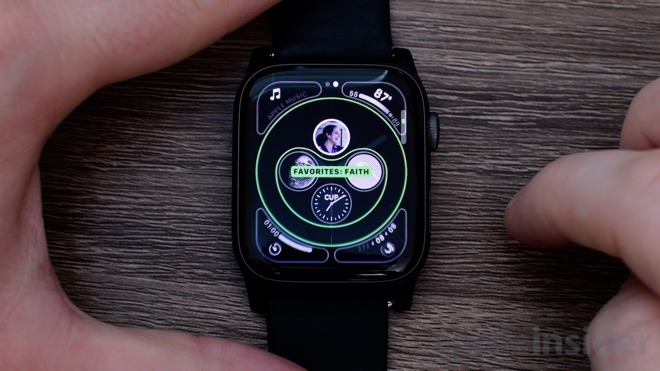 They've helped conquer that by adding improved cellular connectivity, a large display and additional watch faces and complications. 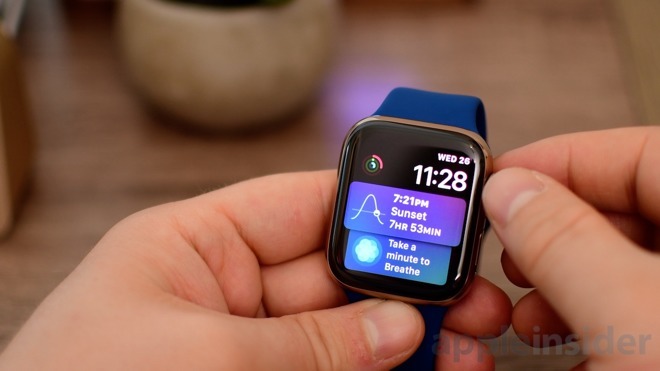 Second is health, which they've bolstered with a variety of new features in watchOS 5 and on the Series 4. There is a new gyroscope-accelerometer that is capable of measuring twice the dynamic range and up to 32G. This new range, coupled with the speediness of the S4 chipset, allows measurement sampling to happen eight times faster. That new improved performance lets Apple Watch Series 4 monitor a new data point — falls. Apple has trained the watch on three distinct types of sudden descent. A straight-down fall, a slip, or a trip — all with their own distinct motion pattern. If the watch detects any of these three, it will display an alert saying that a fall was detected, and ask if you're OK. You can swipe to call emergency services, or tap a button to dismiss the alert, recognizing that you are OK. If no motion is detected for 60 seconds, then emergency services will be called automatically and your location sent to your emergency contact alongside a message saying you may be hurt. This feature is off by default unless your age is above 65, but can easily be turned on within settings. Heart monitoring was also bolstered this year. 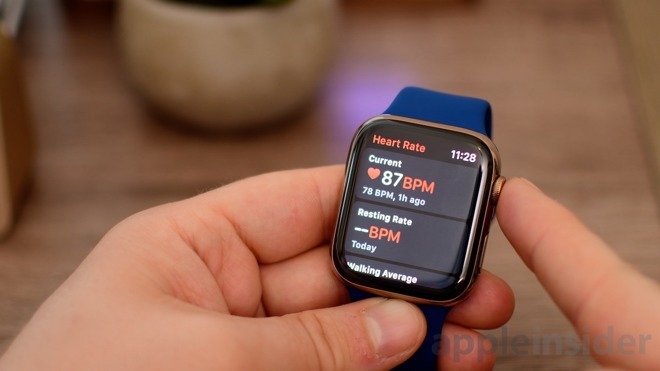 Past Apple Watch models have been able to monitor your heart rate throughout the day for elevated rates, and watchOS 5 now allows it watch out for low rates as well. On Series 4, there is support for identifying atrial fibrillation, and taking an ECG. Both of these features are missing at launch, though will be showing up with the watchOS 5.1 later this fall — at least in the United States. Unfortunately, we will have to wait for that to launch before we can get a good picture of how accurate these features are. Apple has always embraced the physical element of the Apple Watch, realizing the importance of design. 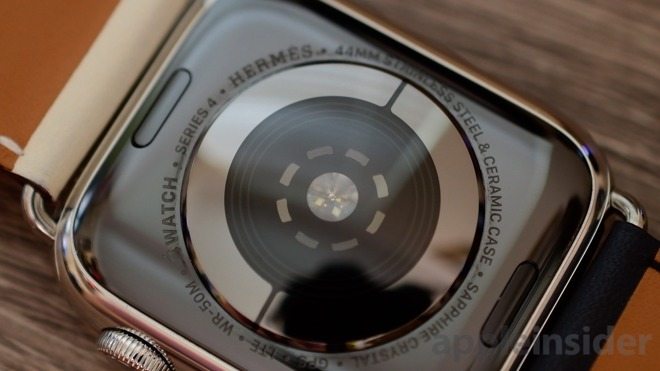 This can be seen in no better way than examining the Taptic Engine housed within the Apple Watch. This electromagnetic linear actuator provides the pleasing tapping feeling on the back of your wrist whenever a notification comes in. It takes up a surprisingly large portion of the Apple Watch's cavity, space that could have gone towards a larger battery or a thinner design. Instead of removing that, Apple instead has doubled down with the Series 4. Using that same haptic engine, Apple is able to simulate physical notches on the Digital Crown. As you rotate the wheel, it should feel almost like it is clicking, making the experience all the more better. When we tested this, we were a little underwhelmed at the effect. It still still feels like the Taptic Engine, and not necessarily like physical notches. At the same time however, it does add to the ability to control the watch without looking. The effect is also only present whenever in an actual scrollable situation. This is very similar to the glass trackpad of the MacBook. When the machine is off, a press on the trackpad registers no physical feedback, however when on, it feels like a click. Apple has used a similar process here. When the watch is off, or on a screen that is unable to scroll, rotating the crown does nothing — and feels like nothing. Apple has gone a long way of perfecting the user experience this year. The display is larger, the Digital Crown feels more exact, health functionality has been improved above any other fitness tracker, and they've managed to do this all while keeping the same battery life. With normal use, Apple says the fourth generation wearable is still capable of "all-day battery life" which amounts to about 18 hours. That's the same number given for the previous generation. Surprisingly, the battery itself is actually smaller, but optimizations in hardware and software have allowed it to have the same lifespan. Users looking for multi-day usage won't be too happy, but in our use we made it through two days of moderate use without issue. This time around both cellular and GPS models come with 16GB of onboard storage meaning more audio can be saved locally. The speakers on the Series 4 were overhauled. There was a substantial difference not just in volume, but quality when taking calls and using Walkie-Talkie. The speakers have been even more important in recent years as Siri gets more responsive and capable, watchOS debuts new features such as Walkie-Talkie, and users can answer Group FaceTime calls right from their wrist. Besides being louder, the microphone was moved to the opposite side which helps reduce echoes when taking calls, depending on which hand you wear the watch on. Pre-installed on each Series 4 Apple Watch is watchOS 5 — Apple's latest mobile operating system that debuted earlier this year at WWDC. It is full of new features that nails down the experience of Apple Watch. We won't go through everything relating to watchOS 5 here, but we do want to touch on a few aspects. Many of the biggest issues with Apple Watch were remedied with this update. Notifications can now be grouped together by app, as well as managed right from Notification Center. There are more workout types than ever, with improvements to others such as pace tracking during runs, audio apps can now run natively and in the background, and Siri got major updates with Shortcuts and the Siri Watch face. That Siri Watch face, by the way, is increasingly useful. It updates more frequently, includes support for additional Apple apps such as Home, and can even display information from third-party apps. Developers have already started to add support and it is really promising. Carrot Weather is able to show a mini card with relevant information at different points throughout the day, keeping the app within a tap and not requiring a complication. This face was woefully underpowered in the past, but now feels like a game changer. If only it took better advantage of the new displays. Another favorite feature of watchOS 5 is competitions. Users are now not only able to view others activity rings, but they are able to challenge one another to week-long competitions to see who can best one another. This year, Apple has knocked the Apple Watch out of the park. This is the Apple Watch Jony Ive envisioned it could be years ago when he started working on the wearable. 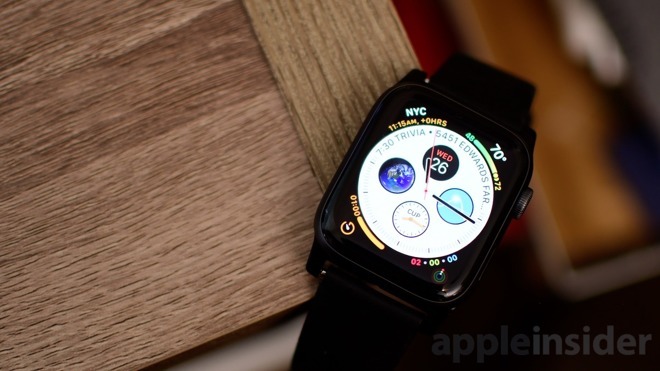 The software has come a long way, as has the hardware, with both working together to finally elevate the Apple Watch from an unnecessary accessory that seemingly needed reworked each year to a necessity that can stand on its own. Apple may have a hard time convincing people to upgrade from the iPhone X to the iPhone XS with limited year-over-year improvements. 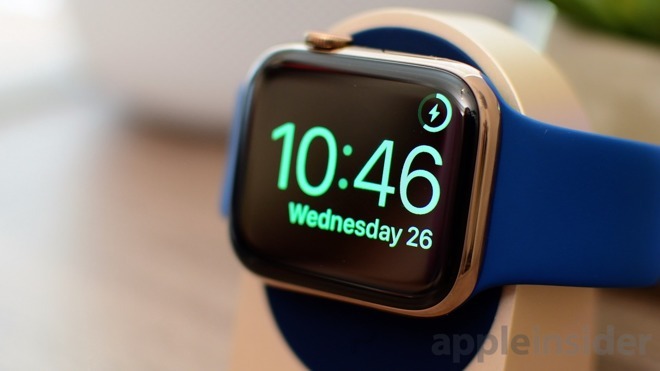 When it comes to the Series 4 Apple Watch, however, we wouldn't be surprised if many owners of the Series 3 are seriously considering taking to eBay as we speak. 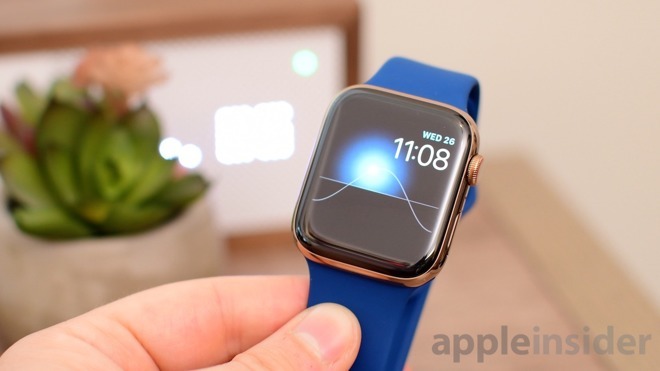 Apple authorized resellers B&H Photo and Abt.com are currently accepting orders for the Apple Watch Series 4. Abt.com will not collect sales tax outside Michigan, Illinois, Indiana and Wisconsin, while B&H will not collect sales tax on orders shipped outside New York and New Jersey*. For a complete list of deals and product availability, please visit our Apple Watch Price Guide. Having trouble deciding whether to upgrade? Let us help! Check out the handy AppleInsider guide. * B&H will not collect sales tax on orders shipped outside NY & NJ (CO, VT & WA residents, see here). You can easily tack on an AppleCare extended protection plan to these Series 4 Apple Watches for $79 by selecting the AppleCare option in your cart.